Most votes received by candidates for party presidential nomination, up to the point where a nominee was determined. George Evans ME Former U.S. Rep. When Congress assembled in 1849, control of Congress was disputed. The Democrats had a majority of the Senate, with 36 seats to 23 Whigs and three Free Soilers. The U.S. House had 113 Democrats, 108 Whigs, 9 Free Soilers, and two independents. It took three weeks to choose Howell Cobb as the Speaker of the House. Henry Clay, recently returned to the Senate, proposed an omnibus bill which came to be called the Compromise of 1850. The Compromise became the most important political event of the 31st Congress. 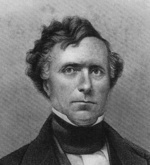 President Taylor opposed some of its provisions, but he died during the debates. 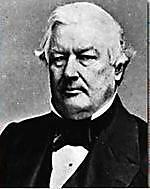 His successor, Millard Fillmore, fully supported the Compromise. The omnibus bill was divided into five separate bills, each winning passage through Congress and being signed it into law by President Fillmore. Public sentiment on the Compromise was felt in the midterm elections. Iowa and Missouri voted during the debates, and in those states the Whigs picked up four U.S. House seats. Elections in the fall of 1850 were a different story. Northern Whigs believed the Compromise favored slave states, and the voters chastised them in the election. Democrats gained 15 U.S. House seats in New York, five in Pennsylvania, three in New Jersey, and one each in Delaware and Wisconsin. Sixteen states elected U.S. Representatives in the fall of 1851: 11 slave states and five free states. In AL, GA, and MS, the two old parties dissolved completely, becoming replaced by the Southern Rights Party and the Union Party. In these states, the Union Party elected 14 Representatives to 5 for the Southern Rights Party. Outside of these three states, the Whigs gained a single seat in Maryland, Louisiana, and Virginia. Whig hopes to reduce their 24-5 deficit in governorships did not materialize; they only gained one (Wisconsin) out of eleven races. On 11/23/1851, the New York Times printed an editorial on the 1852 presidential election. 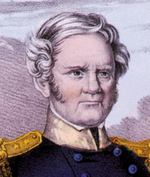 At that time, it appeared that General Winfield Scott would be nominated easily over President Fillmore. 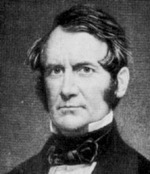 The Times noted that the Whigs faced a dilemma; while the party sought to prevent the issue of slavery from becoming the theme of the election, it was already too late. Whig dissension over the Compromise caused rifts in the party in Ohio and Pennsylvania, leading to narrow Democratic victories in races for Governor in 1851. Florida’s Governor Brown called on the National Convention to adopt resolutions supporting all provisions of the Compromise before the presidential roll call vote, and recommended that southern Whigs bolt otherwise. The Times noted that if the convention adopted those resolutions, they would write off New York and New England. As the state conventions began to meet, the polarization of the party played out in the selection of delegates to the national convention. 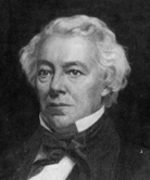 Northern states, knowing that the party would lose with Fillmore at the head of the ticket, favored Scott. Although he did not share their sentiment, Scott thus became associated with the Free Soil wing of the Whig Party. Southern states were becoming committed to Fillmore. Meanwhile, the Webster forces tried a novel way of influencing the state conventions. Local Webster gatherings were held throughout the North – including New York City on 3/5/1852 [NYT]. In these gatherings, Webster leaders pointed out that both wings of the party respected Webster. Furthermore, he had stepped aside for a southerner in 1848 (Taylor) when he was the preferable nominee. Whig members of Congress met in caucus on 4/9/1852 to set the time and date for the national convention. Sen. Willie P. Mangum of NC, a Scott supporter, presided. The caucus chose Baltimore MD on 6/17/1852. [NYT 4/13/1852] Although the process of associating Scott with northern Free Soil Whigs was in process, Scott forces at the Virginia Whig convention were so strong that the convention was unable to instruct the national convention delegates [NYT 4/15/1852]. Southern Whigs re-stated their threats immediately prior to the Convention. U.S. Rep. Cabell (W-FL) gave a speech on the floor of the House on 6/12/1852 in which he said that southern Whigs would not support Scott unless he excluded Free Soil Whigs from his campaign and administration. The withering Georgia Whigs, in selecting Fillmore delegates, said that “the test vote before balloting for president” would be the Compromise of 1850. The New York Times estimated delegate strength on the eve of the convention as Fillmore 133, Scott 120, and Webster 44 [NYT 6/12/1852]. The 4th Whig Party National Convention assembled in the Maryland Institute Hall in Baltimore MD. Each state was granted one delegate per electoral vote, but several states sent more delegates than they were allotted. The interior of the Hall had a long stage behind which were huge, full-length likenesses of George Washington and Henry Clay. The convention was called to order 15 minutes before the advertised time, and Evans was installed as the temporary chairman over great opposition. Many delegates had not arrived, and several of those who were on the floor objected to conducting business before noon. The convention appointed the National Committee, a Committee on Credentials, and a Committee on Permanent Organization before adjourning until the evening. The evening session was also boisterous. The credentials committee was not yet ready to report. The committee on permanent organization was ready, but many delegates objected to any business being transacted before the credentials committee report. The report was adopted with opposition. The second day of the convention began with convention organization. A long discussion took place on the topic of the size of delegations. Many states sent oversized delegations; Virginia, for example, sent 45 delegates to cast its 15 votes. The convention voted to limit the votes per state to their number of electoral votes. Next the convention decided to adopt the platform before nominations were made. A committee was appointed to draft the platform. Afterward, the credentials committee reported there were only four contested delegates. Southern Whigs printed a draft platform which they used to solidify their strength on the floor. The platform committee offered a rather bland platform which did not entirely satisfy anyone but which was the best that could be passed. Proposed alterations failed, and the platform was adopted by a vote of 227-66 with the negative votes coming from nine northern states. The national convention was deeply divided. On the first presidential ballot, Fillmore placed first with 133 votes to 131 for Scott and 29 for Webster. [Note: these are the official totals; Scott’s vote by state adds up to 132.] The convention took five more ballots with remarkably little change in the voting before adjourning for the night. The delegates spent the next day balloting. Scott took the lead on the 8th ballot and never lost it. Various measures were proposed to handle the impasse, including calling a new convention and nomination without a majority. After the 46th ballot, with Scott leading 134-127 with 31 for Webster, the convention voted 176-116 to adjourn for the night. The final day of the convention began with a measure calling for an automatic adjournment from 1:30 to 4:30. An interesting incident before the balloting resumed was a discussion of Henry J. Raymond, the editor of the New York Times, who was on the floor casting a proxy vote in the New York delegation. Raymond had written that GA, TN, and VA Whigs were involved in an anti-Scott “deal.” After a great deal of useless debate, the delegates turned their attention to the balloting. The first ballot of the day was the 47th, in which Scott led 135-129 with 29 for Webster. Fillmore gradually lost ground on the following ballots. Scott’s lead grew to 13 on the 48th ballot, 17 on the 49th ballot, and 20 on the 50th ballot. On the 52d ballot, Scott had exactly half of the delegate votes. He went over the top on the 53d ballot when eleven delegates from Virginia and New England switched to Scott. After Scott’s nomination, the convention passed a resolution honoring Henry Clay, whose death appeared imminent. William A. Graham NC was nominated for VP unanimously on the second ballot. After the VP ballot, the convention passed a resolution directing the national committee to make the arrangements for the 1856 convention, rather than depending upon the congressional caucus. No one would have imagined that the 1856 Whig National Convention would be a minor footnote in history.